Creative & Innovative music makes the difference. We produce music campaigns to fit your budget goals, whether simple, catchy jingles to complex, powerful orchestral arrangements. We take the time to learn about your business then offer creative music solutions and ideas. 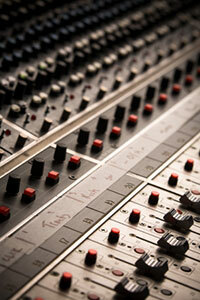 Your music campaign will be easy to remember and created to appeal to your target customers. With Peak, you’ll also own your music free of recurring licensing fees. If you have a musical marketing campaign, and your competition doesn’t, you’re ahead. If your competition has a music campaign and you don’t, you’re behind. With a musically enhanced brand by Peak, your potential customers remember your business in a positive way when it’s time to buy! There’s a very good reason why large, national advertisers like McDonald’s, Subway, Pepsi, Vonage, and many others spend on musical branding… It Works!